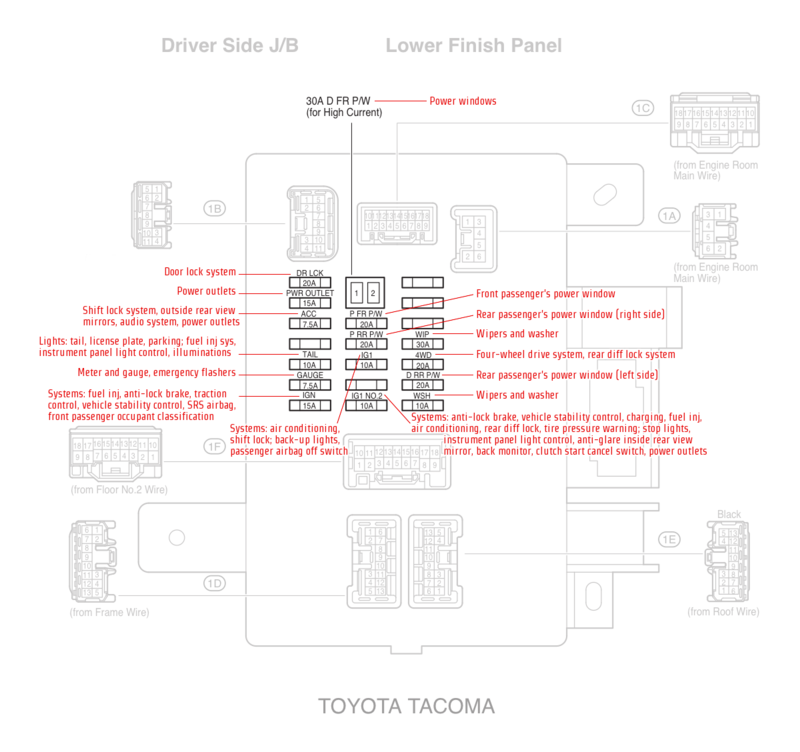 I am having bad luck searching online to find a concise fuse diagram for my Tacoma. I am a little frustrated with the abbreviations that are on the diagram on the box cover. In particular, I need to locate the tail lights' fuse(s) and I know it is in the second fuse box that is behind the little pocket chamber to the left of the steering wheel but all it says on the diagram are abbreviations like RR etc. Does have a decent fuse diagram (with full descriptions) or at least know the position of my tail light fuse? Tail light fuse will be third from the left along the top row. Not the answer you're looking for? Browse other questions tagged electrical toyota fuse tacoma or ask your own question. 2002 Toyota Tacoma multiple issues? 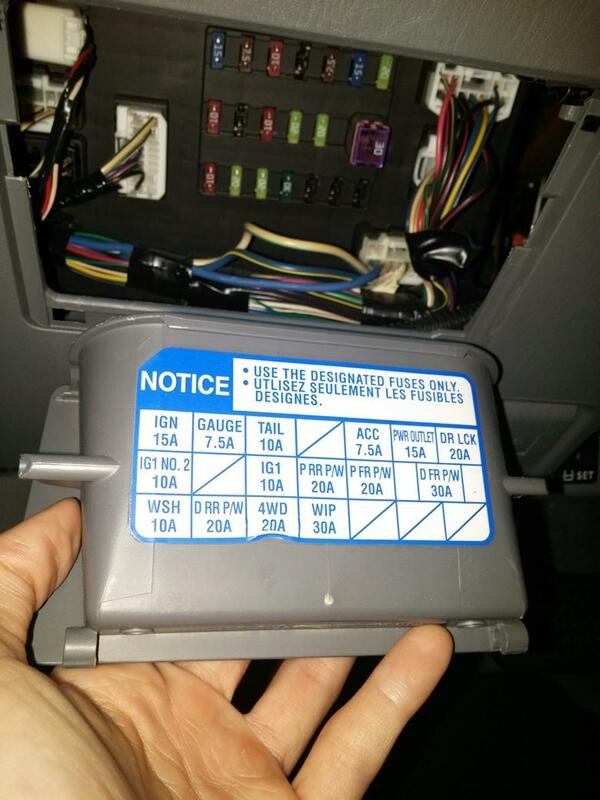 Toyota Avensis 2003: Convert ancient phone cradle to AUX?